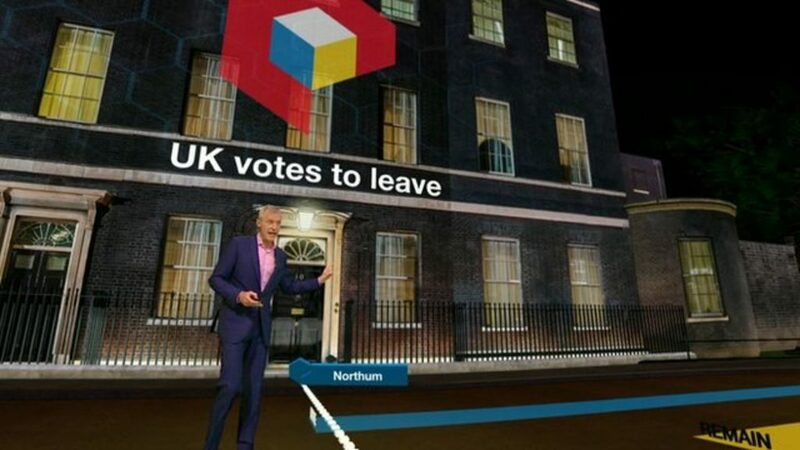 If you watched BBC’s coverage of last year’s Brexit vote you likely remember the wide usage of virtual and augmented reality technology to help tell the story as it unfolded, such as the virtual parliament and the virtual 10 Downing Street scenes with presenter Jeremy Vine. 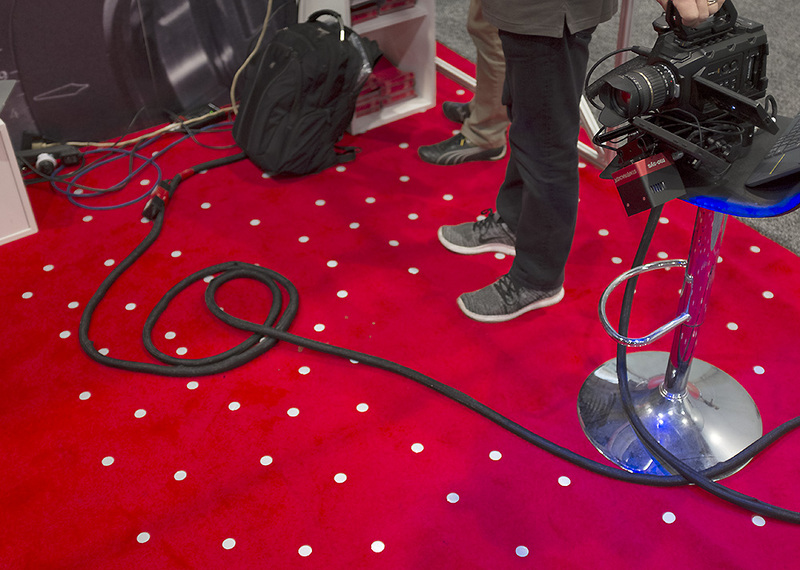 These on-air effects were made possible thanks to advanced camera tracking from a system known as StarTracker, which was also used by about 80% of the virtual set manufacturers at NAB for their booth displays. 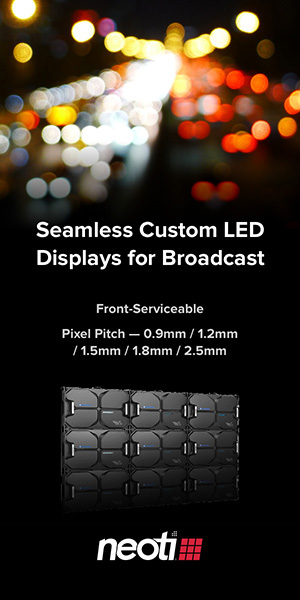 In simple terms, StarTracker places an array of retroreflective vinyl stickers or “stars” on the studio’s grid, while the camera has a small LED light and sensor mounted on it to map the placement, creating an absolute tracking of objects. Example of “stars,” which can be mounted to studio grid or floor. The optical camera tracking system allows for freedom of movement and is free from any lighting restrictions typically associated with other solutions. As well, the system is cost effective and requires no additional staff after the basic installation, which takes only an hour once the stickers are in place. 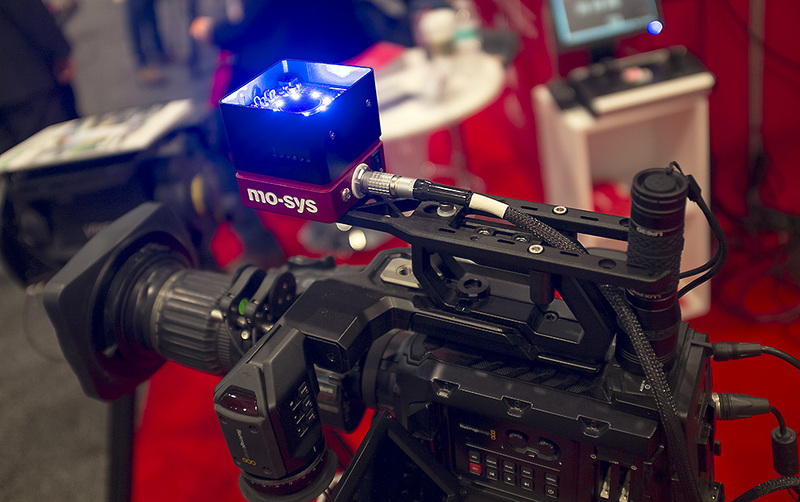 Mo-Sys counts ESPN, NHK, Global Canada among its clients, with StarTracker usage ranging from news to sports to entertainment.